The news surrounding the attack on September 11, 2012 on the U.S. government compound in Benghazi has resulted in serious questions about how much knowledge the US State Department had over the likelihood of an attack. The facts have revealed some startling revelations. On the night of the attack, a group of heavily armed militants approached the compound which was guarded by five U.S. diplomatic security agents, two local militia men, and five unarmed Libyan guards hired by the private security contractor Blue Mountain Group. As the attackers approached, the Libyan private security contractors were said to have abandoned their posts. The men had received hardly any screening or training before being deployed to safeguard Ambassador Stevens' life. Even other firms and the Libyan government questioned whether Blue Mountain Group was up to the task. The questions raised by these reports only add to the call for greater scrutiny around the use of private security contractors, their effectiveness in conflict areas, and, importantly, who they are accountable to for their actions. Private security contractors are being increasingly employed to defend American lives, often in the face of overt threats and in unstable conditions. Contractor negligence and misconduct in these environments not only puts U.S. interests at risk, but also the safety of innocent bystanders, as the 2007 Nisoor Square incident makes clear. That shooting in Iraq of 17 innocent civilians by Blackwater employees was the first incident to lead to an indictment of a contractor under the Military Extraterritorial Jurisdiction Act. While the case was dismissed in 2009, it was revived in 2011, and Justice Department prosecutors recently announced that they would be issuing a new indictment in the next months. A report on Afghanistan by the Project on Government Oversight (POGO) reveals similar potentially dangerous practices by security contractors. Supervisors at Aegis Defense Services, the British company responsible for guarding the U.S. embassy in Kabul, repeatedly and systematically falsified timesheets or ordered employees to do so, in order to keep guards from exceeding the maximum number of hours to be worked in a week. The employees are now suing the company for back pay; lawyers estimate 200 employees are eligible to join the class action suit. Beyond being underpaid, employees were, according to POGO, "overworked, fatigued, and exhausted, which made them unable to carry out their assigned duties protecting the embassy." Last year a group of Aegis's guards organized a petition expressing their lack of confidence in three of their supervisors. Two of the guards that helped organize the petition were then fired in what they now allege was retaliation for whistleblowing. Even the State Department recognized the danger, and in a memo that same month, said the guards' "mutiny ... put the security of the Embassy at risk." Aegis is run by Tim Spicer, a man with a colorful resume full of security contracting scandals. He gained notoriety for his involvement in the Sandline affair, a debacle involving Spicer's former private military company, Sandline International, and a contract to secure copper mines in Papua New Guinea. This contract led to a military overthrow of the government and the forced ejection of Spicer's company from the country. He was also later involved in a plan to ship arms to one of the factions fighting in Sierra Leone, which violated an international weapons embargo on that country at the time. Aegis also made headlines in Iraq for its "trophy videos" showing contractors randomly shooting at civilians. These incidents reveal that using private security contractors has the potential to jeopardize the status of U.S. operations abroad, can put American lives at risk, and may cut against the very foreign policy goals our missions and embassies are seeking to achieve. If private security contractors are going to continue to be trusted with the lives of America's diplomats and civilian personnel, they must be subject to oversight. There are two efforts now that could help raise the level of performance and accountability over these corporations. The first, the Civilian Extraterritorial Jurisdiction Act (CEJA), is a bill that was introduced in Congress last session. It closes a loophole in U.S. jurisdiction over security contractors. The Military Extraterritorial Jurisdiction Act (MEJA) already allows U.S. courts to have jurisdiction over crimes committed abroad by security contractors hired by the military. CEJA would give U.S. courts jurisdiction to enforce the laws already on the books and apply them to security contractors hired by any agency of the federal government, including the State Department and USAID. The next measure is a global initiative known as the International Code of Conduct for Private Security Service Providers (ICoC). The code has evolved from a purely voluntary set of principles to now include a potential oversight mechanisms that could allow for on-the-ground performance assessments and independent review of third party grievances for victims and clients when contractors breach the code. The exact details of the oversight mechanism are still pending final determination, but negotiations just last week in Switzerland on the Articles of Association indicate that contractor misconduct may begin to be reigned in through strong certification standards and monitoring. In conflict zones, where conditions are complex and ever-changing, we must be certain that U.S. men and women who are working to promote the rule of law, development, and aid, are protected. Outsourcing this job to contractors cannot and should not risk the safety of these individuals or the success of our efforts. 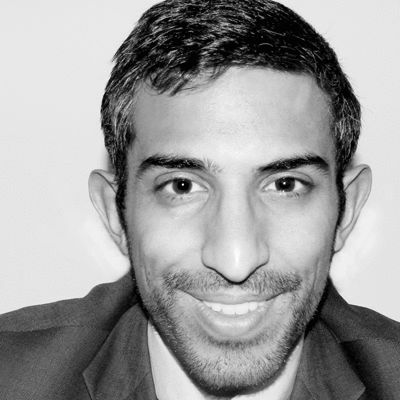 Amol Mehra is the Director of the International Corporate Accountability Roundtable, a coalition of leading human rights, development, environmental and labor organizations working to ensure that businesses are held accountable for human rights violations wherever they operate. For more information, please visit www.accountabilityroundtable.org.